The water chute allows children to mimic the working world of adults as they distribute water from one end of the chute to the other. This unit introduces children to the basics physical laws of water. 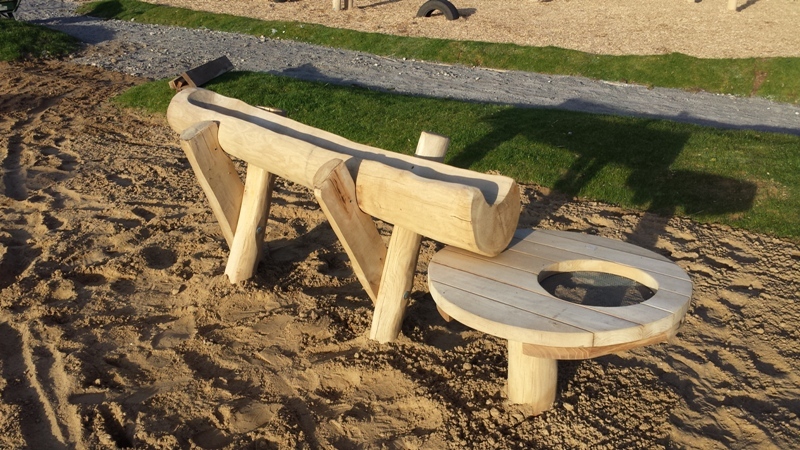 This water play structure encourages children to invest a great deal of physical and mental energy in order to complete the tasks they set themselves. The activities allow children the opportunity to mimic the working world of adults.